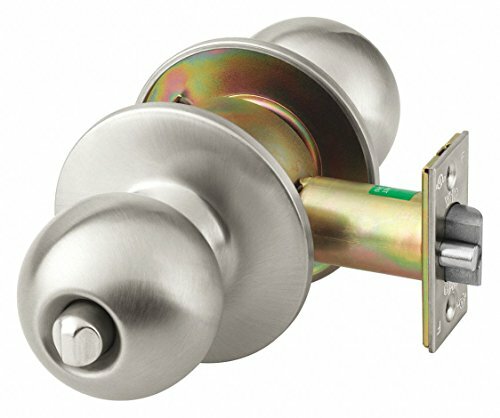 Featuring Internal parts that are zinc dichromate plated to resist corrosion, this YALE knob lockset has a heavy wrought knob with steel liner for impact resistance and long life. Model is suitable for use in commercial, industrial, and institutional applications. Lockset Fire Rating: 3 hr. Required Door Thickness: 1-3/8" and 2"
Strike Type: Curved Lip Strike"
View More In Pulleys & Sheaves. If you have any questions about this product by Yale, contact us by completing and submitting the form below. If you are looking for a specif part number, please include it with your message.